Admit it. You’re carrying around some extra weight. Summer is here and it’s time to shed that extra beauty bulk with products that can multitask like the best of us. 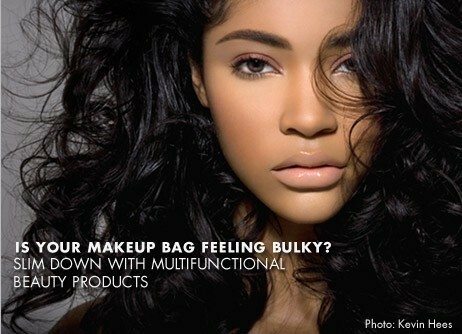 After all, who wants to carry around a bulky makeup bag when you’re out having fun in the sun? A glittery copper tone. This sultry shadow gives a warm, sunny, glow wherever its applied. Use alone or over any shadow for a shimmering effect. Also makes a great blush for medium to deep skin tones. Try it on the lips with Crystal Clear Gloss or all over the face as a shimmering bronzer.